Insert molding is the process that refers to the combination of metals and plastics, or combines several materials and components into a single unit. In this process, engineering plastics are made use of in an attempt to improve tensile strength, wear resistance and weight reduction, as well as for conductivity and strength since metallic materials are also used. To strengthen the mechanical properties of plastic or thermoplastic elastomer products, metal bushings and inserts are applied. Insert molding boasts a variety of advantages, e.g. lowering assembly and labor costs, reducing part size and weight, improving the reliability of components, and delivering enhanced part strength and structure with increased flexibility for design. A wide range of inserts are able to be molded into plastic components, such as the various screws, contacts, magnets, clips, threaded fasteners, pins, surface mount pads, studs, rivets, bushings and tubes, etc. which can be produced with diversified materials such as stainless steel, bronze, brass, copper, aluminum, Monel and nickel/nickel alloy. Insert molded components are able to be extensively used in a diversity of applications that cover the defense, electronics/electrical, medical, industrial, aerospace and consumer markets as instruments, housings, devices, knobs and electrical components. The insert molding shares the same process used in conventional injection molding – melt and extrude solid pellets of raw materials into a mold, solidify the plastic, then open the press and eject the molded parts. Compared with conventional injection molding, the insert molding process utilizes the same materials. Engineered thermoplastics are applied for extremely high heat molding. Because of their enhanced electrical, physical and chemical properties, the materials are strong enough to stand up to extremely high temperatures and the components are able to resist very severe conditions. Before a material is injected into the mold, place the insert in the mold by hand or automation, and then, as the material moves into undercut features of the insert, the insert is therefore perfectly secured as if it were previously integrated into the molded component. There are some injection molding producers who employ vertical/vertical injection molding presses, taking advantage of gravity to facilitate the insert molding process, because this helps keep the insert in position when the mold is closing. The majority of vertical presses utilize multiple bottom mold halves to mate with a single top. By doing so, while one of the bottom halves is molding with the involvement of the top half, the other bottoms are available to be filled with inserts. The application of multiple bottom halves allow inserts to be loaded into one bottom while the others are molding, therefore press time is substantially shortened. Insert and tooling costs are considered to be the upfront costs of the insert molding process. As some extreme pressure and temperature conditions can do harm to the inserts, they are required to be able to endure the injection molding process. Solutions are designed to help protect the inserts while still preserving the full range of benefits that insert molding provides, so as to finalize the design, and yet experience is required. Collaborate with insert mold suppliers who are able to specifically determine what components or technologies can be integrated into a single unit. 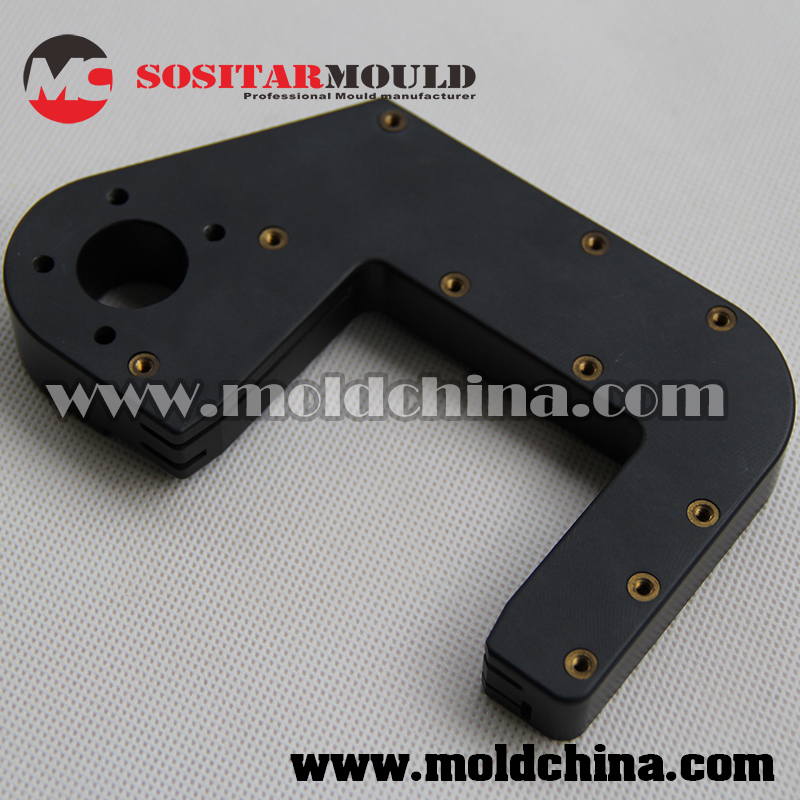 As a custom injection molder, Sositar Mould provides insert injection molding services, with our engineers patiently guiding you through the insert molding process steps, from prototype design and building, to insert machining and production. Sositar offers a full range of precision Swiss screw machined solutions for inserts of diversified raw materials.